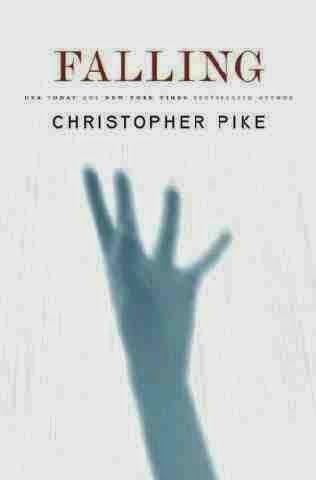 Christopher Pike was one of my favorite authors as a child. I devoured all his books throughout the 80s and early 90s -- becoming hooked after a girlfriend loaned me a copy of Remember Me. I haven't read anything by Pike in years because I'm not a huge fan of the young adult genre, and I actually don't even remember how I acquired Falling. This particular "adult" novel by Pike has been on my bookshelf for several months, and it only recently caught my eye while I was rearranging my books. I'm glad I picked this one up, because Falling has turned out to be one of the most complex, genius novels I've read in awhile! I'm disappointed that I hadn't heard about it previously. Falling explores the sad, emotional-driven lives of two main characters: Matt Connor and Kelly Fienman. The novel kicks off with Matt planning his "fake" death so he can execute a plan of revenge on his ex-girlfriend, Amy. Matt was head-over-heels obsessed and in love with Amy, who ended up lying and cheating on Matt with her now-husband, David. Matt's plan is to fake his death, and kidnap Amy and David's newborn baby so that he'll never be a suspect in the kidnapping. Meanwhile, FBI agent Kelly Fienman is on the hunt for a serial killer known as The Acid Man -- an educated and sophisticated man who lures women to his bedroom and kills them using hydrochloric acid in rituals that mirror those prevalent in Greek mythology and other ancient stories. Since the theme of the murders falls into Kelly's own professional background, she takes a special interest in the case and eventually goes rogue to hunt down The Acid Man after the FBI deems the case a low priority. After Kelly becomes a victim of The Acid Man herself and survives, she becomes more ruthless than ever at exacting her own revenge. Kelly soon becomes involved in the Matt-Amy-David kidnapping case after recovering from her run-in with The Acid Man, and finds herself connecting with Matt on a level she never would have expected. Together, both Kelly and Matt work on facing and overcoming their fears and emotional dilemmas. At the beginning of Falling, I initially felt skeptical about Matt's character in regards to his ability to successfully carry out his fake death. But as the narrative went on, Pike began to reveal more about Matt's intellect, which made him infinitely more intriguing as a character. I also thought Amy's character was well-written in that she was indirectly creepy, deceptive, selfish, and manipulative. I couldn't wait to read about Amy's eventual demise. Overall, Falling is more than just a suspense novel -- it's a deep, complex look at how emotions that range on the obsessive side can sometimes drive us to do the unthinkable. I loved everything about this book, and was wholly satisfied after the last page. Are you a fan of Christopher Pike, and if so, what are your favorite novels by him? In addition to Remember Me, I loved Scavenger Hunt and Spellbound.